Best selection of men's victorian stuff at decent prices. I thought the communication was great, loved my order, and it shipped pretty fast! Thanks!! The service was great! I got my order quickly and I love what I ordered. Id like to see more cowboy winter clothing like high coller coats and such. 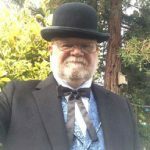 I do costuming for theatre and whenever I've needed period costumes or accessories (especially for gentlemen) I've always been very pleased with Historical Emporium's service, selection and prices...good quality items! The boots were top quality, and I received them in a VERY timely manner, and with WONDERFUL and very friendly customer service! Great products, great packing/shipping, and great service. I will DEFINITELY be purchasing more costumes from the Historical Emporium! I have to commend this service for the quality of the garment/vest I ordered. But I am disappointed in that the size options are limited. The vest I ordered fit but was not the exact fit I would have prefered. I loved the product and the promptness in which I received my order. I have one small complaint. I did not recieve a confimation e-mail and had to call the co. to confirm my order. You guys were very easy to work with, have great products, and fast shipping. Can't ask for any better than that. Thanks! You've got some really neat items that I'd definitely come back to your website for. Great selection, competitive prices, and fast shipping. They had what I needed and I did not have the time or labour money to accomplish what I needed built in the time frame I had. The item I ordered was something I'd looked for over a long time before finding it at the company's web site. It arrived promptly and lived up to expectations. I heart you. Best $50 I've spent in a long time. The clothes I bought worked out really well, and the prices were good. Also, everything was shipped promptly. If I knew someone interested in western clothing. All products made to satisfactory standards and affordable. Outstanding quality, prompt shipping, great customer service...and just very cool regalia! Have already recommended to several, will be purchasing more from you in the future. Very satisfied with the service and items. VERY UNIQUE PRODUCTS THAT ARE HARD TO FIND ANY WHERE ELSE. THIS IS THE PLACE TO LOOK! I enjoyed the ease of use of the website and the products. All of items were received promptly, and were exactly as described. I have sung your praises to Many people. I work in the cruise ship industry and everyone comments on how beautiful the clothes are. I plan on making a big purchase within the next 3 weeks as I'll be a main host on the new Oasis of the Seas cruise ship. I loved the blouse that I ordered from you. It was high quality fashion and it arrived in time for an event I attended. It was great service. Prompt delivery and easy return. We love the hat! Love merchandise and excellent shipping. was surprised that costumes were unlined, but the silhouette is acceptable. I was pleased with the way you people handled my sizing needs. I enjoy doing business with people who want satisfied customers. I love the item i received and the description was exact. I was quite pleasantly impressed with the quality of material and workmanship of the walking skirt and edwardian hoop skirt. I have already recommended this site to friends. Excellent products, helpful support and fast delivery all of which make your store a unique place to shop. Service was good, prompt, merchandise was what we ordered, good quality, held up through 2 weeks of a wild and crazy show! Fantastic customer service. Great shipping and great product. The only complaint I have is that after wearing my new shoes a single time (and only for about 2 hours) one of the eyelets has already separated and popped out from the leather. Great personal service over the phone. The shippment was quick, and the quality of the products was well worth the price. I am very pleased with the company, the people, and the products! The order was correct and complete, the merchandise was of good quality, and it was delivered in a timely manner. Great product! Fast delivery! Best price I'd seen anywhere! Service was prompt. Very satisfied with quality. I called because I needed to order some items in a hurry, the personalized attention was fabulous, supper speedy shipping too. loved the outfit,fit great except for lenght of skirt(had to hem).the lady was very accomodating when I called in a panic the next morning when i found i need a black skirt instead of purple.she caught it! txs! Your speed of service is amazing . It is quicker to obtain items from you , thousands of miles away , than locally. Great communication and prompt complete shipping. i found loose theads on the the shoulder stitching hope they don't come un stitched when i wash the shirt i will let you know and return the shirt. Shipping and handling to Canada was a bit expensive, but delivery was fast. I've already recommended it to another theatrical designer and she is planning on ordering from you for an upcoming production. Telephone operator was excellent. Noah, I think. Pleasant to talk with. Good knowledge of items for sale. I was pleased with items ordered and have recommended your site to friends. The merchandise came in a timely fashion and appreciated the prompt service! Perfect, good job. thank you Jack. I needed a vest for a special occassion and I searched the local stores high and low for days and i just didn't find anything that I liked. The quality and style of your vest surpassed my expectations and you have a new customer. absolutly amazing service. shipped fast and shipping itself was fast. oh and the top hat is amazing i love it! I very much liked the quality of the clothing you sold me. I have already recommended you guys to several friends and co-workers! Questions were answered fast, and item was shipped promptly. The stitching was slightly undone on the aviator cap ear cover but other than that, it was a great product. Great products -- was a great addition to my design. Very happy and pleased with the prompt service. I'm the Emcee for the San Antonio Rose Live Classic Country Music Show in San Antonio. I needed a Classic & Classy shirt different from the members of the band. I looked everywhere for something Different and authentic. Like a Nudie shirt! Found it. returned unused. It Was for a specific event and although I ordered it well in advance of this date, it arrived the day after the aforementioned date. I was very disappointed with your service. I just wish it were a little less expensive to purchase from HS. Loved the style of the riding skirt, although no petite sizes are available and so I had to get them shortened. Very good heavy material used, Shipped fast. I received my products in a very quickly. I was very please when I to return them and another set was sent out immediately. The items are beautiful and I very pleased. I ordered a monocle that was so oversized and overly corrected it could not possibly be used for its original purpose. That took the fun away, entirely. Great customer service. A verification of my information was required before the order went out and it was handled perfectly. Thank you for the fast, friendly service! Your products are wonderful. The person I spoke with was great! Shipping was reasonable and fast! All in al, it was a top notch experience. I like the selection you have, but would like to see more in women's clothing. One pair of the gloves doesn't fit and has a hole! Great service, quality of product was exactly what I had expected based on the prices. Love my purchase well worth the money!!!!! You guys rock! I have already told many of my reenacting friends about you and how wonderful you guys are. Fast delivery, quick replies on mail questions, additional questions then asked by you resulting in a better fit! My daughter was ecstatic with the muslin items & we are pleased with your service, thank you! I received my order within a week. We were very happy with the service. One thing I should mention. I ordered the brass goggles and the paint was already starting to fall off. It was fine in this case because I was already planning to strip the paint off. Great clothe and service, but the sizing charts are not accurate which caused me to purchase a shirt that was too small. We appreciated you constantly keeping us informed of sold out items and what was available. The speed in receiving the order also gave us time to get any necessary alterations done. We were especially pleased with the quality of the clothing. Service was great! Delivery was faster than implied; quality of merchandise is super! We received items very fast. The items were just as described. Will order again. Good service. No complaints. I would definitely recommend it. Very fast shipping, items I ordered were exactly what I expected and good quality. Product as advertised, and shipped fast. I liked my buy and was surprised at the size though, that I had to order for myself. I am a small person and never realized that I would be ordering such a large size for me. That could result in returns for a poor fit. I love their clothing, wear it on a daily basis, not for costumery, and find the prices very affordable. Had a fantastic experience with your store. Ordering was simple, shipping was very fast. Couldn't be happier. The merchandise was of high quality, and the shipment was timely. Very helpful service. I wanted to pick up the item at their warehouse and they were able to help me. Great prices, quality great, better than expected. QUALITY MERCHANDISE IN A STYLE THAT IS VERY HARD TO FIND; FRIENDLY AND HELPFUL WITH PHONE ORDERS; SHIPPING TIME IS GREAT. MY HUSBAND HAS ALWAYS LOVED THIS STYLE OF CLOTHES AND HE SHOULD HAVE BEEN BORN IN THE 1800'S. YOUR MERCHANDISE DOES NOT LOOK LIKE A COSTUME....IT IS NOT URBAN cowboy TRASH.....IT IS REAL AND WONDERFUL QUALITY. GREAT PLACE TO SHOP....WONDERFUL HELPFUL PEOPLE. I love your online store & the great service. A gentleman named Noel sent me an email when he noticed my pant size didn't seem to match my chest size--a typo of mine. I had typed waist 43, when I meant 33. But he caught it & saved me a hassle. Truly great service. Thanks, Noel!